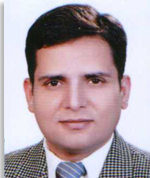 Dr. Javeed Ashraf Awan is an Associate Professor in Chemical Engineering at the University of the Punjab. He has been working as postdoctoral researcher for 3 years at Chemical Engineering, Technical University of Denmark on different energy related projects funded by Danish Ministry of Science Technology and Innovation. He has completed his PhD in Energy and Process Engineering (Chemical Engineering) in September 2009 from “Ecole Nationale Superieur Des Mines De Paris” known as (Mines ParisTech-France). During his PhD he has been working on Gas Processors Association-USA (GPA-037) Project titled “Thermodynamics of Natural Gas Containing Organic Sulfur Species-Alkanolamine Aqueous Solutions in the Presence of Acid Gases”. He has published his research work in international/national peer reviewed journals. He is also working as Industrial consultant on different projects related to CO2 capture, Acid gas removal, Biofuels, Coal Power Generation, Sulfur Chemistry and Removal Management, Energy Conservation and Environmental Management Systems and Thermodynamic Modeling (CPA-EoS, Electrolyte-UNIQUAC, GCA-EoS) for reactive and non-reactive systems.